P.S. :All above test index tested 2 hours later after machine running stable, and under non linear control and no load condition. 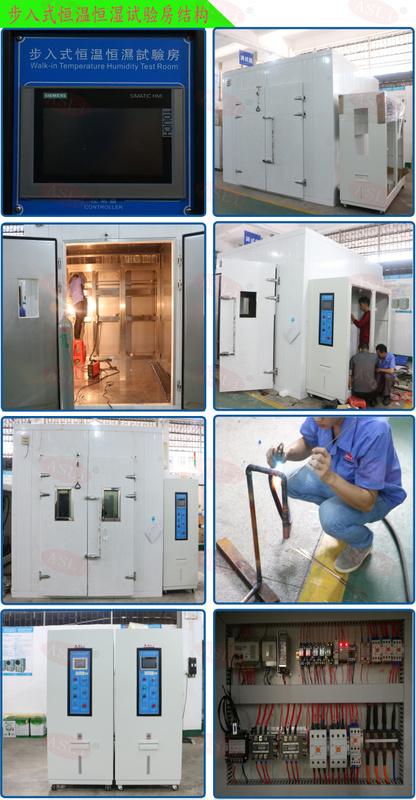 3 Air Supply Systems for Walk In Climatic Stability Test Chamber. Enough high-quality refrigeration oil is most important for Refrigeration compressor, which will directly affects its service life. If the refrigeration oil runs into refrigeration system, especially into heat exchangers, the performance will greatly reduces. So oil separator with best performance is provided for this machine, with stable viscosity. 4-3 Main Refrigeration Accessories: Solenoid valve, manual valve, filters, expansion valve, pressure ,Controller, vibration absorber tube, diminisher, electronic expansion valve are all world famous brand. 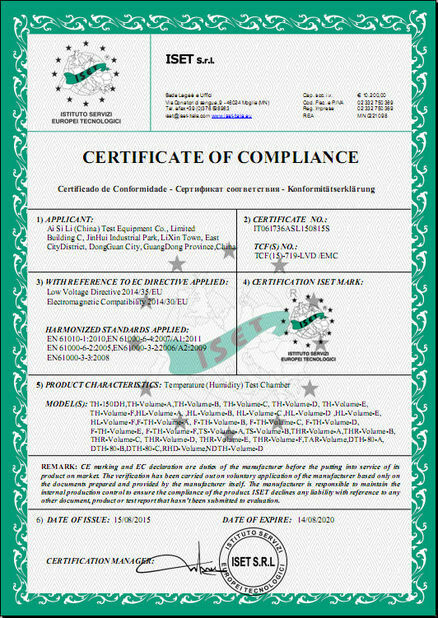 4-4 Refrigerants: R404A or equivalent, environmental friendly. 5-1-4 Thermal insulation material is flame retardant polyurethane rigid foam, of 100-150mm thickness. 5-2-2 Special door for maintenance & repair is provided. 5-2-3 Acoustical boards are used for lowing noise to maximum limit. 5-3-2 Silicon rubber is used for high sealing effect, high / low temperature resistance, anti-aging, and good Sealed performance. 5-4 Lighting Device: two interior lights of 12W/36V, moisture-proof & explosion-proof, can be directly manual switch controlled from the outside. 5-5-1 Height distance to the floor is 200mm; chamber base board is slightly slant with drain hole for letting out the condensed water. 5-5-3 Movable entry ramp is provided. 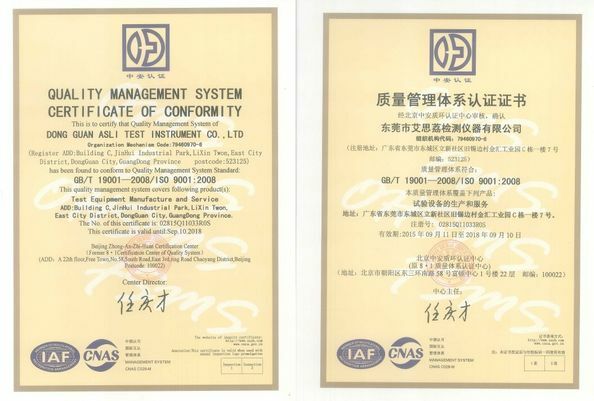 6-1 High-accuracy platinum resistance is used for temperature and humidity measurement. 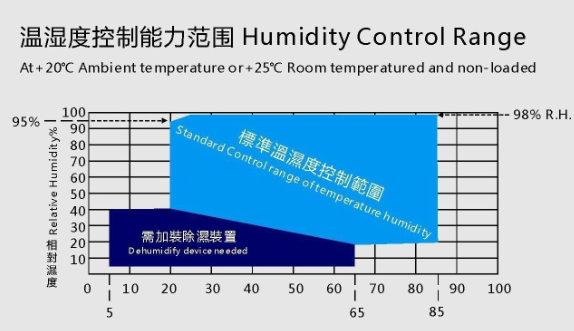 6-2-3 Two lines of input & two lines of output control mode for controlling temperature and humidity separately; Can display set point, program curve, working time, and working condition of heaters, refrigeration units & fan. 6-2-6 Control system has automatic self-checking, self-diagnosis, fault display and alarming function. 7-3 Communication: USB/RS-232 communication interface, dedicated software are provided. 7-7 Remote Control and Monitoring: this machine is equipped with remote communication software, communication interface and communication cable for remote control & monitoring. Data record, collecting curve , data acquisition, date save, printing can be finished. It is mainly composed of built-in water tank, wet-bulb, solenoid valve, humidifier, water level controller, connecting pipe, etc. 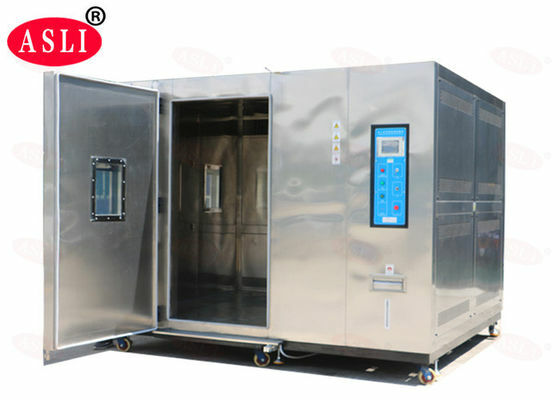 8-1 Humidification water processor (pure water treatment device, optional), can automatically/manually Adding water; soft water after 3 levels filtration, the water resistivity is greater than 500 Ω m.
8-5 Electromagnetic Valve: work with water level controller to realize continuous supply of water. 9-2 Workspace is absolutely insulated to all the power, resistance is greater than 1 m Ω, and no accumulated static electricity. 10-2-5 Sound-absorbing material is used in refrigeration cabinet wall, reducing noise to max. Limitation. If you have any question about our walk in temperature chamber ,pls contact with us . thank you .